In recent times the Club has been working hard to keep pace with 120% increase in population (23,000) and has faced strong competition from neighbouring sporting Clubs within the area. This expansion has, however, brought its own new challenges. The management of such a big Club is like managing a huge machine with multiple moving parts needing constant maintenance and attention, to make it work properly, effectively and efficiently. Updating of personnel, equipment, skills and ideas is constant, just as the need for successful fund-raising is a never-ending trial. The most immediate concern is that the Club’s facilities are insufficient to cope with the needs of so many teams playing matches and are restricting the Club from reaching its full potential. A single pitch, which originally catered for a single football team, in the 1920s, is no longer enough. Since the late 1990s, attempts have been made to relocate to a larger site, with more pitches and better facilities. Several projects have fallen through, mainly due to the economic downturn. While the new FCC All Weather Pitch, shared and co-managed with Balbriggan Town FC, helps protect the main pitch to some extent, the Club urgently needs more space, more land, more pitches, more dressing rooms, and a biggClubhouseuse. These are imperatives to cater for all the sporting and holistic needs of the Club members and to allow present and future generations benefit fully from all that a vibrant GAA Club can offer – not just in Sport and Gaelic traditions, but also in creating well-rounded individuals who we hope will be the future members, leaders and role models in our community. To meet the future requirement of the Club, we have been working with Fingal County Council on a project that will see the club move to a new facility at Bremore Regional Park. 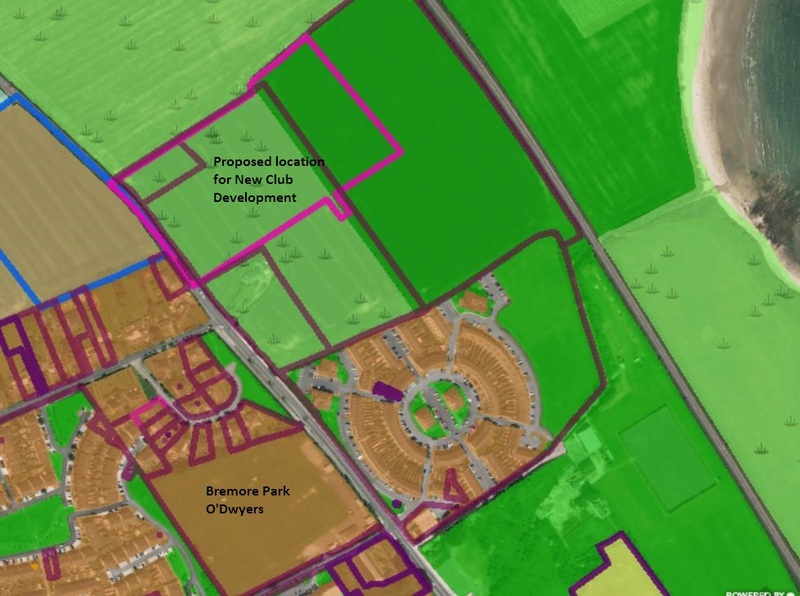 Under the agreement, Fingal County Council will enter into a long-term lease with O’Dwyers for a 10 acre site on the northern boundary of the park where the club will develop a new clubhouse, sports pitch, parking and training areas which will be in alignment with and complementary to the Council’s overall vision for the park. The Council has also agreed to purchase O’Dwyers’ current facility at Hamlet Lane which it will be used for road improvements in the area as well as providing new housing. A detailed presentation was shown to members by Facilities Officer Francis McNulty who, along with local business owner and club sponsor Luke Moriarty, Club Trustee Dave Kelly and Club Chairman Liam Howley have worked tirelessly over the last two years in negotiations with Fingal County Council. Local Councillor Tony Murphy has also had a huge role to play in ensuring this proposal had everything that members will need. Formation and construction of two natural-surface GAA playing pitches (1no. full-size pitch, floodlit with 6no. c.22m high lighting masts & 1no. training/junior size pitch) each with associated ball-stop netting (c.15.5m high). One detached field maintenance shed (51.8sq.m.) and one external equipment building (incl. generator) (70sq.m.). 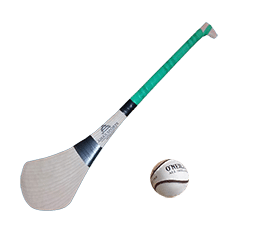 Hurling wall & associated floodlighting and enclosure fencing. New vehicular & pedestrian entrance gates, piers & railings (off R132); new bicycle & car parking (127 cars & 4 mini-buses). All associated drainage (incl. foul pump station & surface-water attenuation tank), site development works, services, perimeter fencing (c32.4m high) and landscape work on a site of c.3.82 Ha located c.40 m North of the existing junction between R132 road and Flemington Lane. Dependent on the outcome of the planning process our Development Group will replan the subsequent phases of the programme.